Mariners DH Kendrys Morales hopped a rowboat out of Havana in 2004, leaving behind teammate and Cuban star Enrique Diaz Martinez, who is thrilled for his friend’s success. HAVANA — Kendrys Morales and Enrique Diaz Martinez used to be teammates. It’s the only connection remaining between the Cubans, formerly of Havana’s Los Industriales, nine years after each made a decision that took their lives in different directions. 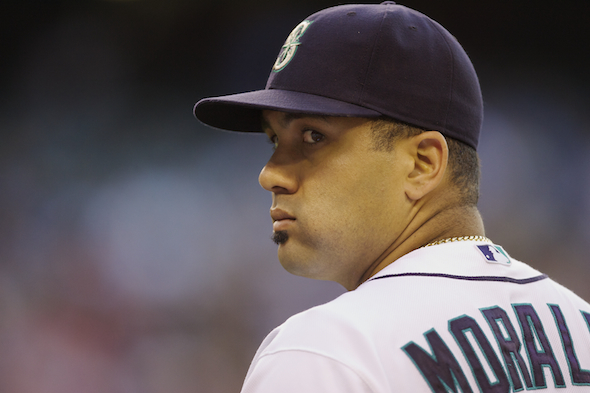 Morales, 29, is in his seventh productive MLB season, hitting cleanup for the Seattle Mariners, making $5.25 million. Martinez is 44, retired after a 23-year career in which he set the all-time marks for hits and stolen bases in Cuba’s top professional league, National Series. Martinez is still in Havana with his wife and two kids in a two-bedroom apartment. Morales sits in the Mariners dugout in a sleeveless shirt clutching one of his warmup bats. A tattoo on his left bicep depicts an angry-looking bald eagle busting through an American flag. He speaks little English but listens intently as the Mariners’ Spanish translator reissues each question. The switch-hitting designated hitter smiles when asked about the player who helped him develop early in his career. They haven’t seen each other since. In 2001-2002, Morales won Rookie of the Year honors en route to a National Series championship. 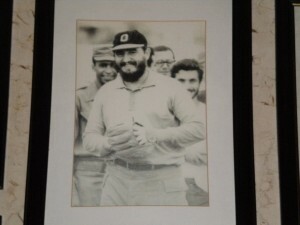 Then 19, he became a star in a baseball-crazed country. Martinez helped him deal with national fame, filling a void left when Morales’s father died more than a decade earlier. Last week, Mariners manager Eric Wedge praised Morales’s clubhouse presence — “he’s a great influence,” he said — and it isn’t difficult to envision how he became that way, given the way Martinez described how players on the Industriales spent time together away from Havana’s baseball park, Estadio Latinoamericano. Nor will he forget June 8, 2004, the day Morales successfully fled Cuba. After trying and failing to defect 12 times, three of which landed him three-day stints in prison after police thwarted his escape, Morales took a small rowboat to a larger vessel which then took him to the U.S., according to a 2009 story in USA Today. Morales declined last week to answer questions about illegally exiting his home country, citing his desire next offseason to visit legally by reapplying for a passport. 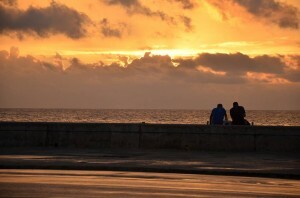 In January, Cuban president Raul Castro instituted wide-ranging travel reforms that will allow players like Morales to return without threat of imprisonment. Martinez said his former teammate had no other choice but to try to escape. More Cubans who feel they are ready to play in MLB are opting to take the same route. 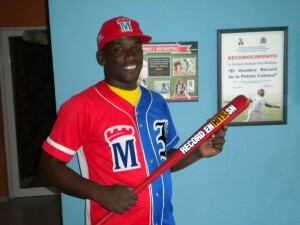 When the Cuban government learned in 2003 of his desire to leave the country, Morales was banned from playing for the Industriales and the national team. In 2005, Morales signed a six-year, $4.5 million deal with the Los Angeles Angels, and began playing with Class A Rancho Cucamonga. The deal included a $3 million signing bonus. He left behind family members, including a daughter, though his mother and the girlfriend who he eventually married later immigrated to the United States. It’s his teammate, though, that still misses him. The reality sets in as Martinez sits poolside and sips a Cristal beer at a hotel in downtown Havana. The former second baseman retired four years ago but says he can still play professionally. Gray stubble speckles his chin. In Cuba, no one becomes wealthy unless they are working for the bureaucratic branch of the country’s Communist government. Nearly everyone else makes the equivalent of $15 to $20 a week regardless of occupation or desire to work, their income supplemented by government-issued food rations. Policemen navigate almost every street corner. It’s almost impossible to immigrate legally — more defectors are opting to go through Mexico — and most who try to sneak out and are caught are immediately taken to prison. “Make no mistake, this is an oppressive country where the only criminal is the government,” a man walking along the Malecón, the city’s four-mile, crumbling stone seawall, said on an evening when the air was so thick it became hard to breathe. For Martinez, the decision to remain in Havana was easy. He probably could have, had he decided to get on a boat with smugglers for the ride through the Atlantic from Havana to Miami. Only 228 miles separate the cities. Cuban refugees are immune from deportation once they set foot in Florida because the U.S. has had virtually no diplomatic relationship with the country since 1960. Cubans success in MLB seems to grow yearly, with emerging stars such as Yoenis Cespedes, Yasiel Puig and Aroldis Chapman. Shortstop Alexei Ramirez, a native of Piñar del Rio, has quietly hit .275 in six productive seasons with the Chicago White Sox. Martinez was one of the most consistent, if not a superstar. His skill level suggested a good chance at a productive major league career, and more enticingly a chance to escape an oppressive government. Martinez has two sons, 16 and 21, a grandchild and the rest of his life to wonder where he might be if he took the same path as Morales, riding out into the Gulf of Mexico under the moonlight. In the meantime, he just wishes he could have another chance to talk with an old friend. In early May, Adam Lewis and a group of students from Washington State University’s Edward R. Murrow College of Communication spent 10 days in Cuba as part of a Backpack Journalism program. Good story Adam, well written. Kudos. Yes, good article, I enjoyed it a lot. Martinez seems very content with his decision and his modest lifestyle, which says a lot for the man. Excellent piece, Adam. It’s easy to see how Morales became the clubhouse guy he is in Seattle. Younger players need mentors and Diaz was definitely that for Kendrys, who is carrying on that role with younger Latinos in the Mariners organization. One player who was maligned as a malcontent during his career but (somewhat surprisingly) filled a similar role for a year in Seattle was Jose Guillen. One of the interesting things about Diaz is that while he’s the National Series’ all-time hits and steals leader, he never played for the Cuban National Team. Now the reason I refer to Enrique Diaz Martinez as “Diaz” is due to how Latino names are constructed and used. The way it usually works is that a male is formally christened as “First name-Father’s last name-Mother’s maiden name” but is known by his paternal name…the mother’s maiden name is an add-on and sometimes parenthesized). Thus Kendrys Morales’ full name is Kendrys Morales Rodriguez, but he is known as Morales and not Rodriguez. Some Latinos do use their mother’s name, but that’s the exception. This is something I learned while covering baseball in a Latino country in the past.